Author Half of my genogram tool bar is gone. 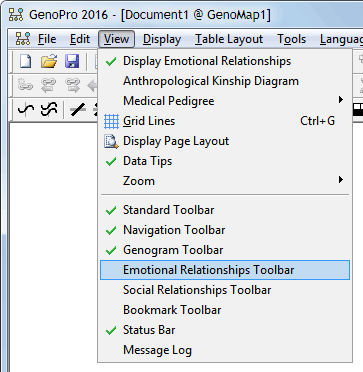 I have been working in genpro and half of my genogram tool bar is missing. The colored boxes for medical issues is gone. Only half of the tool bar is there. I did and have been checking them all and it still does not show up. 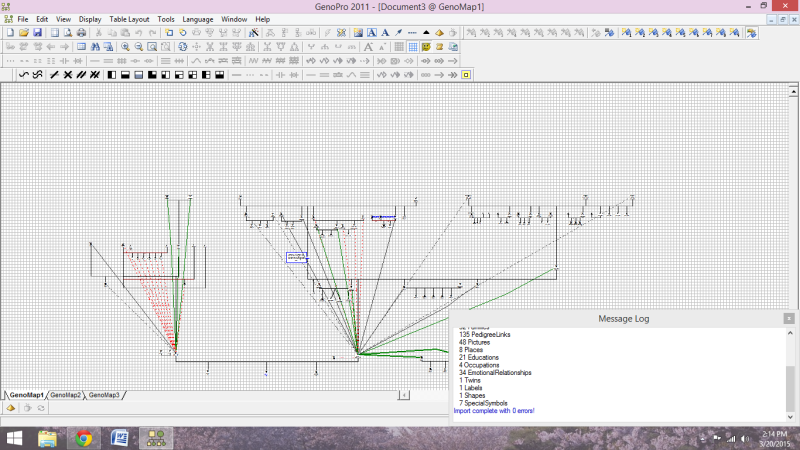 If you look at the genogram tool bar only half of it is there. There are no colored boxes for medical issues. Did this issue ever get resolved? I'm having the same problem and it started right about the time of your post in March 2015. I purchased this for an assignment last night. When I first downloaded it as a trial, I was able to use the emotional relationship toolbar. A few days later, I was unable to use to it. It appears gray and you can not click on anything. I bought the program last night thinking the emotional relationship toolbar may not be available anymore if I ran out of the free trial. I activated my registration code.. and I still can’t use the emotional relationship toolbar. I need this program for an assignment for my masters degree program due very soon.